This may sound like the rant of an angry, young blogger. It’s not. This may sound like a bitter congregant who has been hurt by the church. It’s not…not even close. This may sound like a pastor who is jealous of other pastors who have large churches, a bigger platform, or a better book deal. Ha! No, this is a quote from Eugene Peterson, best selling author, scholar, poet, and pastor. He’s one of my heroes, and I agree with him wholeheartedly. Peterson wrote Working the Angles in 1987, almost 30 years ago. Since that time, the role of pastor in America has continued to degenerate. The “other gods” Peterson refers to are easy to name. Celebrity status. Money. Political influence. Organizational control. Relevance. These are no longer temptations to avoid that a few succumb to and the rest condemn. They are expected, sought after, and encouraged. These gods dominate the landscape of what it means to be a pastor. And they make me sick. Peterson advocated for a return to the three basic pastoral angles – prayer, Scripture, and spiritual direction – that give the visible lines of pastoral ministry – preaching, teaching, and administration – their shape. Without the angles, you are left with a jumbled mess of lines, not a triangle, a real ministry. The beauty of a triangle is its structural integrity. It is stable and can handle weight and pressure. 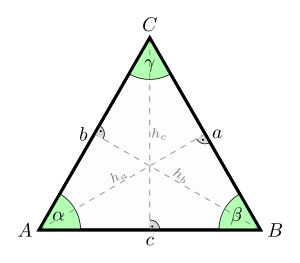 There is no “better” side to an equilateral triangle. Each side, each angle, is as valuable as any other. I have spent the last 13 years pastoring (verb) various groups of people in a variety of contexts. I have never carried the title of pastor in the same way Peterson did. It’s not my day job. However, I have tried to invest as much time as I can to the angles as a means to make my pastoring as effective as possible for the few God has entrusted me to equip. Some of the practicalities of pastoring must be shared in a community like ours. The lines of my triangle are short. But I have others around me who are also capable shepherds and practice pastoring in their families, their workplaces, and in their neighborhoods. Honestly, I do not think the role of pastor will ever return to its former place of honor in American society. The internal pressures (the gods mentioned above) and external pressures (culture’s denial of spiritual authority and the knowledge of God) are just too great. Instead of wringing their hands and attempting to grasp for the last shreds of honor, pastors should swallow their pride, take the rebuke, and fervently return to the triangular task of pastoring. For some, this may mean the end of a career, to drop the pastoral salary and find a job in the community. They might find ways to use their gifts in other settings than the Sunday morning service routine, maybe as business owners, counselors, or coaches. For others, it may mean redefining the role of pastor around the ancient skills (angles) and finding innovative new ways to draw the lines that are the meat of pastoral work. Of course, included in this is the recognition that the equippers doing the equipping in Ephesians 4 are not all pastors and not even all leaders! They are people, Holy Spirit empowered people that are willing to respond to God’s call – however big or small – to help the church grow in unity, maturity, wisdom, knowledge of God, health, and ultimately, Christlikeness.